​How the hell is this even possible? With one pitch, ​Yu Darvish took out Willson Contreras, an opposing batter and the umpire. But hey, at least he hit 99 on the gun! Darvish didn't do this intentionally, of course, but it's unfortunate for all involved. 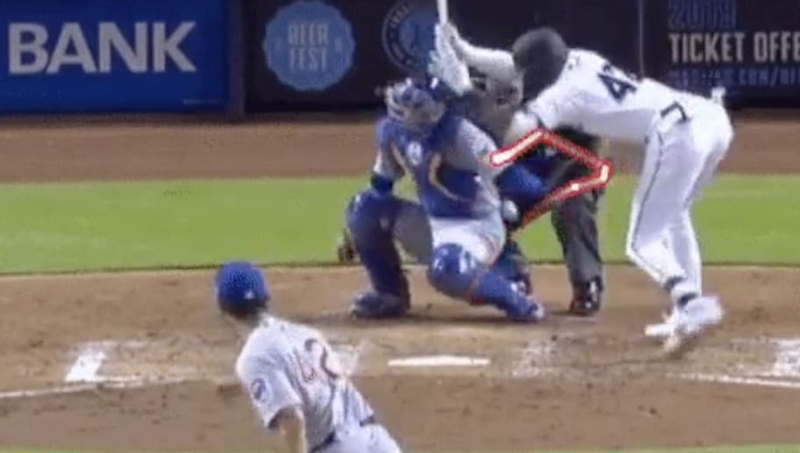 Neither player nor the umpire would leave the game after the astonishing triple-kill, so we know for certain they weren't on Darvish's hit list. The only way this gets better is if there's music involved in said remix. Triple kill aside, this was Darvish's best start of the season to date, and he picked up his first win in the process. Hopefully it can be a confidence builder for the Japanese hurler, as the ​Cubs surely need him at his best if they hope to reach their high expectations this season.